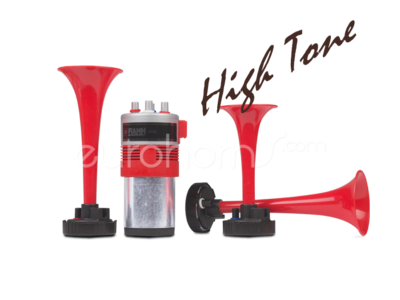 The FIAMM Tourhorn High Tone Tripple toned air horn, with a higher pitched tone for more urgency. Used in the cars used by professional cycling teams. 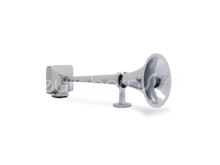 the higher tone, that gives the melody more urgency.